Quote of the day: "You can be the ripest juiciest peach in the world and there's still going to be someone who hates peaches"
Ever since i was little I've always had a thing for different coloured nail varnishes and basically anything to do with nails in general......I liked it all that much i paid to do a course and train to become a qualified nail technician, specialising in both Acrylic & Gel nails which i passed the course with a distinction. I own untold amount of nail varnishes by loads of different brands, some being well known brands and some being small brands that most people probably wouldn't think of. So in todays post I've decided to choose 6 of my favourite nail varnishes to share with you's (this was a hard task getting it down to just 6!). 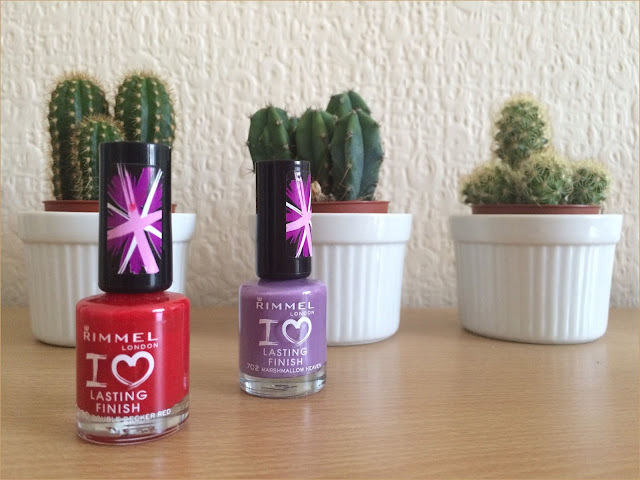 Rimmel - 030 Double Decker Red - This is the colour i always go to when i paint my toe nails, its your classic red colour, bright and vibrant. I think this is the only colour that i have worn on my toes for the past 2 or 3 years, I've gone through so many bottles of red nail varnish, but the Rimmel colour is the one that i prefer the most and will continue to purchase when this bottle next runs out. Rimmel - 702 Marshmallow Heaven - Now this colour was a big change for me, as I've never really been one for the colour purple but this one is a light purple colour and is perfect for the summer weather. I personally don't think the name of it suits it that well as to me "marshmallow" always reminds me of the colours pink & white. But I've worn this a few times and it lasts pretty well without chipping. Loreal - 826 Flamingo Pink - This has been my go to colour for the last month when i had acrylic nails on, its a very summery colour, its got the colour pink in the title of it but its a mix between a pink and a orange lol. I absolutely love this colour and will definitely repurchase this as soon as this bottle of it is finished! Loreal - 624 Island In The Sun - This is a colour that my 3 year old niece picked out when i was ordering nail varnishes, its not a colour i would have personally chosen lol. But its a lovely colour when it goes on its a blue colour but its got some kind of green undertones in it when the light hits it which makes it a really pretty colour. It does need about 2 or 3 coats applied to the nail to get the full effect of it. Barry M Gelly - 420 Green Berry - I wasn't too keen on this nail varnish when i first got it, as I've never been a fan of the colour green when it comes to nails, but after trying this out, its slowly become one of my favourite colours as its not a too "in your face" kinda green. When i wear this i tend to paint all my nails in this apart from my accent nail, which i paint in a silver glittery colour. The combination works really well together. So i would definitely recommend this to try out if you haven't already got it. Barry M Gelly - 417 Dragon - This is your typical "barbie pink" colour as i would like to call it, you only needs about 2 coats to get the full colour on your nail, i love the hi-shine of this aswell as when its on its, it looks just like you've got gel nails on...hence the reason its probably called "Barry M Gelly". I don't own many Barry M nail varnishes, but i think i need to start getting more as i love how long these last on your nails. 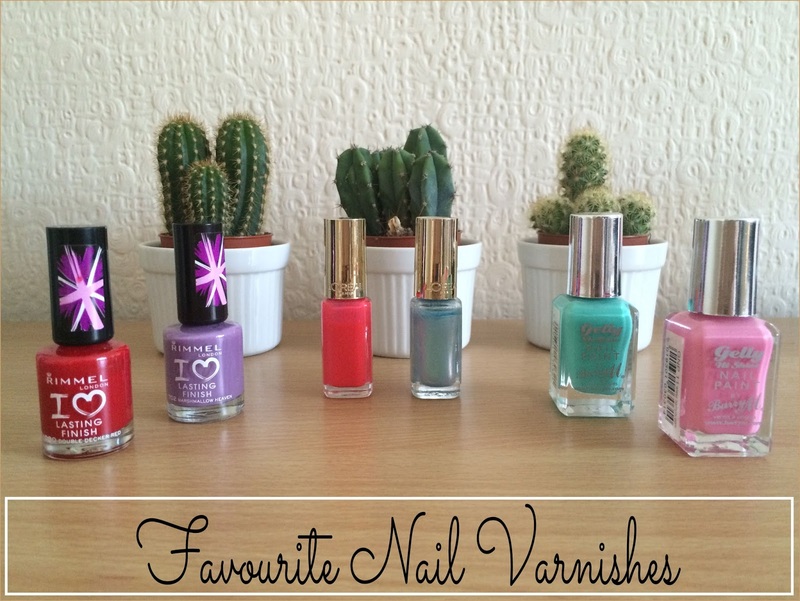 Are they any nail varnish colours that you would recommend me to try out? 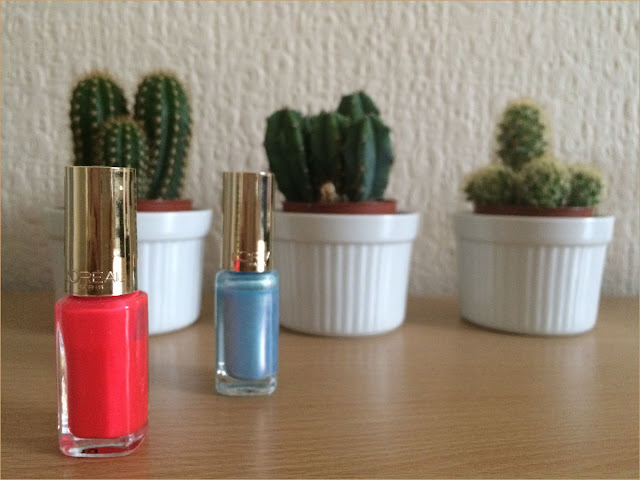 Let me know in the comments below, as I'm always on the lookout for different colours to try.